During the 2017 season, the Miami Hurricanes captured the nation’s attention with the Turnover Chain. The iconic jewelry now has a place on a golf cart. Christy Cabrera Chirinos of the South Florida Sun Sentinel shared a picture of the vehicle with an imitation of the chain. 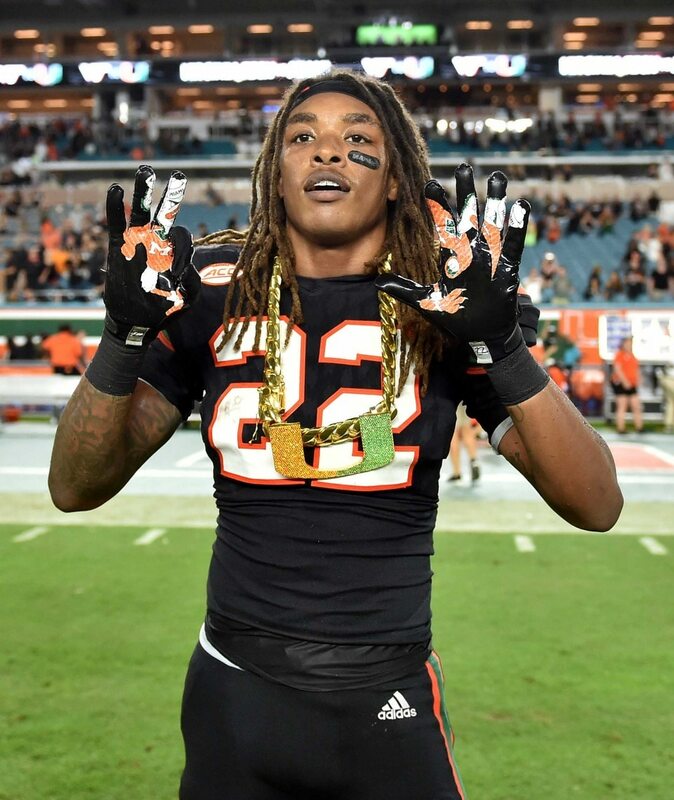 Though some viewed the Turnover Chain as a gimmick, Miami finished 2017 with the third-most takeaways in the country. And if it ain’t broke, don’t fix it. Near the end of last season, defensive coordinator Manny Diaz said he expected the chain to return in 2018 with a different look. During ACC Media Days, head coach Mark Richt confirmed it would be “new and improved,” per Chirinos. A model of the Turnover Chain can only be seen on a golf cart for now, but the real thing will return to Miami’s sideline in the near future. Writer for Sportsnaut and Bleacher Report, mostly covering college football as well as the NFL, NBA and college basketball.